Your financial contribution will enable NCC to continue applying for training subsidies and support manufacturing training opportunities. Make a secure online donation to New Century Careers by clicking on the DONATE button. For more information about making a gift, or to set up a recurring monthly donation to NCC, please contact Paul Anselmo at anselmo@ncsquared.com. Do you have a vehicle you don’t need or want? Consider donating it to New Century Careers! Donating your car to Vehicles for Charity is a fast, safe and easy way to support the programming you value. Click here to make a vehicle donation to NCC. Amazon donates 0.5% of the price of your eligible AmazonSmile purchases to New Century Careers whenever you shop on AmazonSmile. Please choose New Century Careers here and support NCC’s efforts to continue providing tuition-free machinist training! 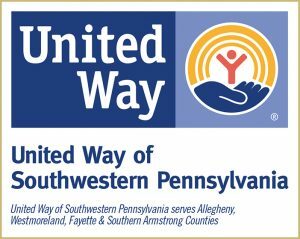 New Century Careers is a designee for the United Way of SWPA Contributor’s Choice campaign. NCC’s designee code is 1461264.